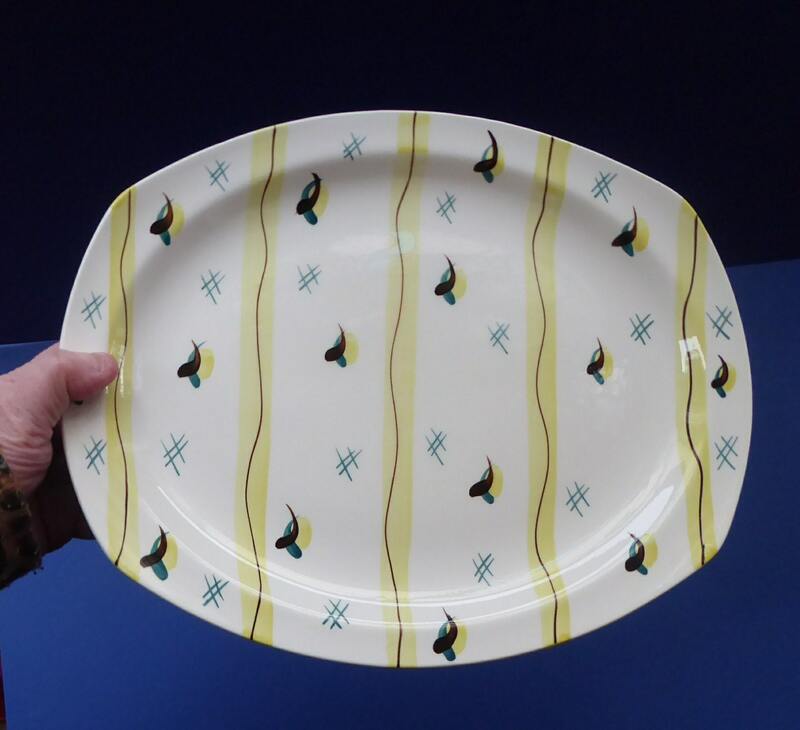 This is a fabulous mid-century large oval serving plate or platter. It has a fabulous geometric pattern and the design is called Fiesta. I have a small selection of Fiesta serving plates etc in my Etsy store - I would look at getting good postage quotes for you if you wish more than one item from my shop. 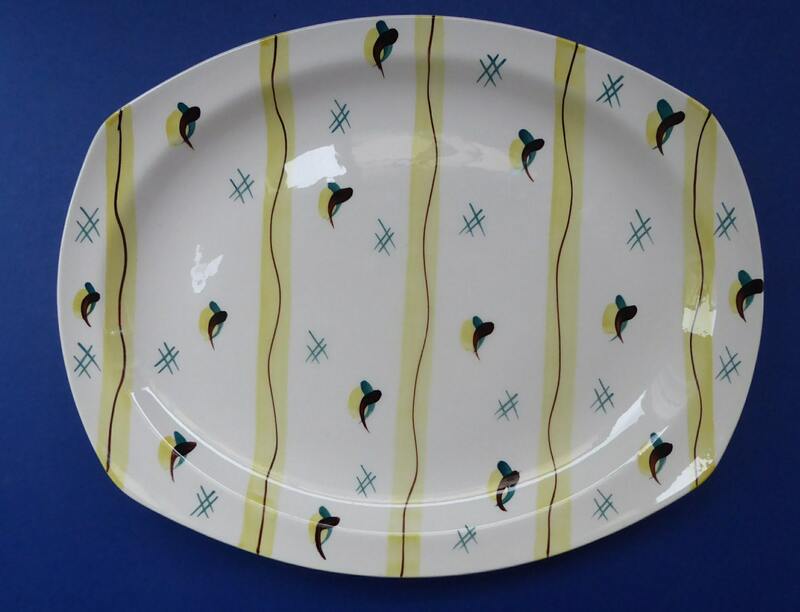 The pattern was designed by the celebrated British ceramic designer, Jessie Tait (1928 - 2010) for Midwinter. She first worked as a junior designer to Charlotte Rhead, and then as a designer for the Midwinter Pottery between 1946 and 1974. 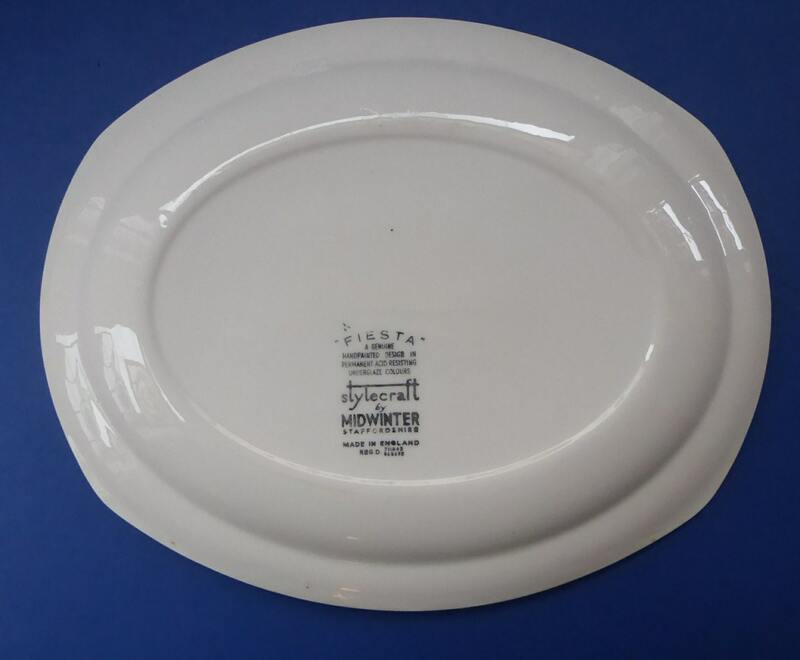 Many of her designs were mass-produced by the Midwinter Pottery on dinner services, and tea and coffee sets. In the 1950s these were hand painted, and well-known designs included 'Red Domino' and 'Zambesi'. Her style was often detailed and geometric. 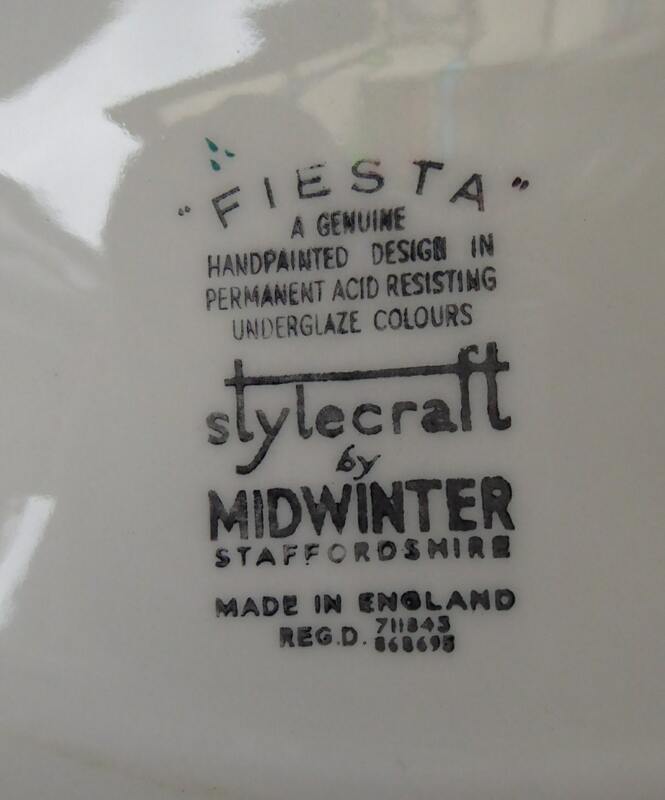 As you can see - this is a really stylish and highly collectable pattern - and the Fiesta pattern is now becoming a much harder to find one. 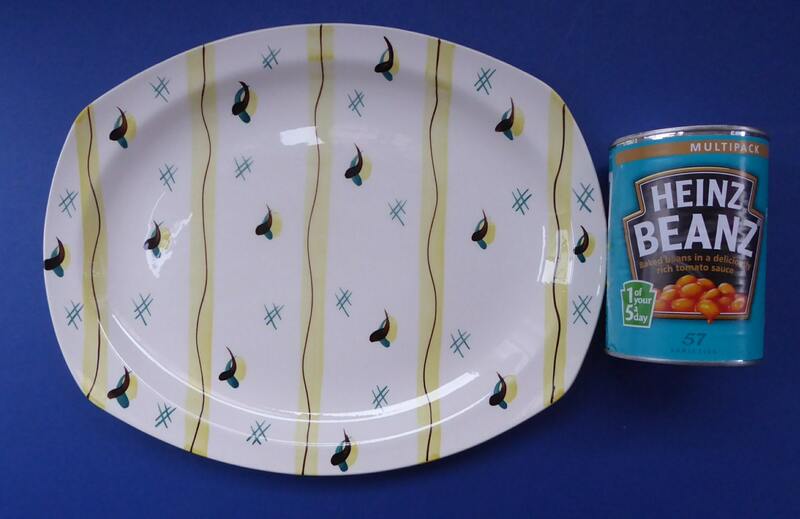 My plate is in excellent vintage condition with no chips, cracks or crazing to the glaze. It doesn't look like it has ever been used - so no staining or issues with cutlery marks etc. Dimensions: 12 inches x 9 3/4 inches.